Diesel Injector Clean + Cetane Boost is specially engineered to defend your engine and fuel system against performance-robbing wear and deposits. Its concentrated formula provides dependable protection in warm weather. One dose delivers outstanding detergency, improved lubricity and higher cetane. 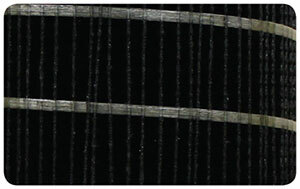 It is safe for use in all diesel fuels, including biodiesel. 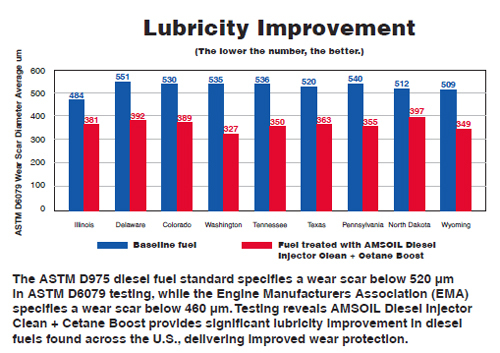 Ultra-low-sulfur diesel fuel (ULSD) provides significantly reduced lubricity – a critical property in controlling wear in fuel pumps and injectors. Diesel Injector Clean + Cetane Boost adds back the lubricity the fuel pump and injectors need, reducing wear, improving service life and saving time and money on maintenance costs.